It's a shame that Black didn't really achieve the commercial success that he deserved. Black managed just one successful album and three Top 40 singles during 1987 and 1988. 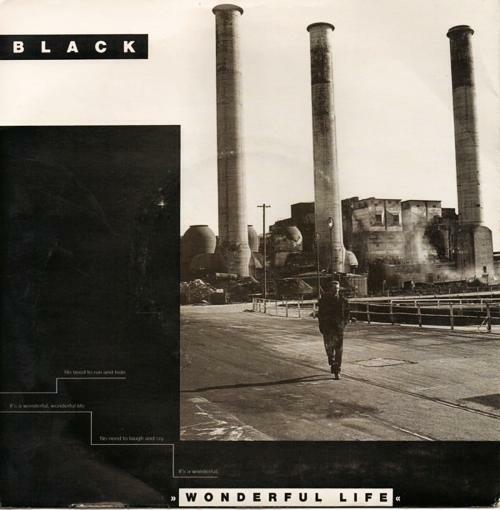 A top quality tune, Wonderful Life was the title track from Black's critically-acclaimed and most successful studio album, reaching #8 in the UK singles chart in 1988. The album reached #3 in the British album charts and sold 1.5 million copies worldwide. Both the 7" and 12" vinyl single included the same version of "Wonderful Life" (4:49). The B-side of the 7 inch included the track "Life Calls" (3:51). This was also included on the 12" Maxi Single, with an extra two tracks "Had Enough" (4:58) and "All We Need is the Money" (4:53). The music video was filmed in and around Southport in Merseyside, and also at Wallasey near Liverpool. 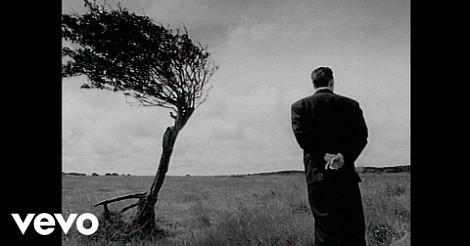 It was directed by the husband of TV gardener Rachel De Thame, Gerald De Thame. Black was not a band, but was actually Colin Vearncombe, a singer-songwriter from Liverpool. His original release of Wonderful Life flopped during 1986, peaking at #72 in the UK. However, after the single Sweetest Smile reached #8 during 1987, he re-recorded Wonderful Life which also became a #8 hit. Sadly, only one more song reached the Top 40 which was entitled Paradise. This was also released in 1988. Black's second album, Comedy, was also moderately successful, reaching #32 in the UK album charts and selling around half a million copies worldwide. His self-titled third album reached #42 in 1991 and sold 0.2 million units worldwide. Since then, Black has released another nine albums, although none of them were commercially successful and failed to chart. 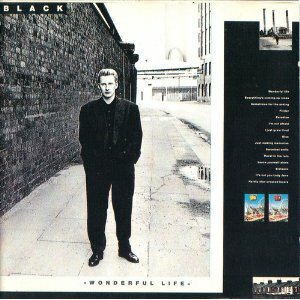 Another re-issue of Wonderful Life in 1994 reached #42.